Welcome home to this wonderful 2 story, 5 bedrooms, 4 bathroom home located on a quiet cul de sac. This unique floor plan has a formal sitting room w/ a patio door that opens to a private outside patio connected to the formal dinning room. A great place to entertain. Cozy family room has a double sided fireplace that opens to the dinning room. Beautiful kitchen with 42" cab's, quarts counter top, custom back splash, island, and stainless steel appliances. Back yard has a nice deck with awesome mountain views. Master bedroom is vaulted & has a 5 piece bath & a huge walk in closet. The kids rooms share a jack & jill bath, with the other bedroom having its own private bath. Laundry room is on the second floor. Surround sound throughout the house. 3 car tandem garage. 9' ceilings. 2 furnaces. 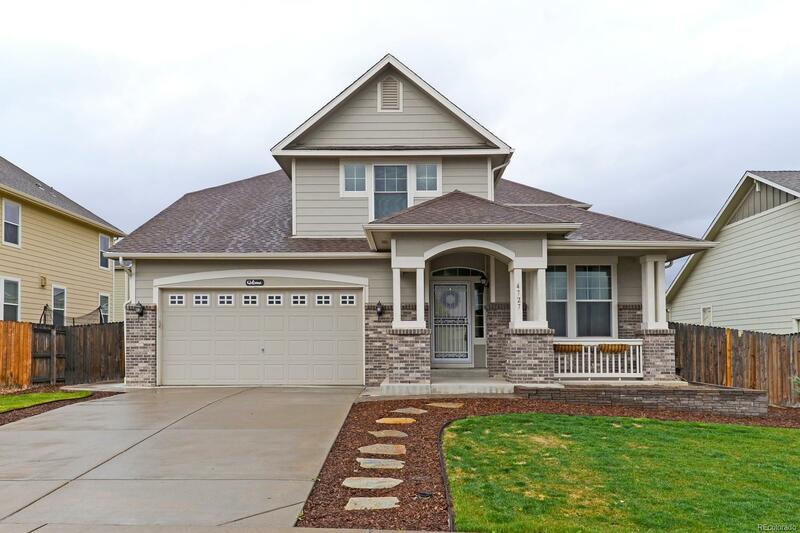 Close to neighborhood schools and easy access to C470.